Once commonplace in England, particularly in the ancient hay meadows of the Thames Valley and parts of Wiltshire, it is now rarely seen due to modern farming practices introduced during World War II. The genus name Fritillaria comes from the Latin 'fritillus' meaning dice-box while the species name meleagris means 'spotted like a guinea fowl'. You can purchase the Snake's Head Fritillary either as bulbs in the autumn or in bloom as pot grown specimens in the spring. They will thrive in reliably moist, well-drained soil that has been previously enriched with organic matter. If not then add plenty of leafmould, well-rotted farm manure or garden compost to the soil prior to planting. When growing the Snake's Head Fritillary from bulbs, be aware that they are are fragile so always handle them with care. Plant them at a depth of 10 cm and with a spacing of 10 cm apart. 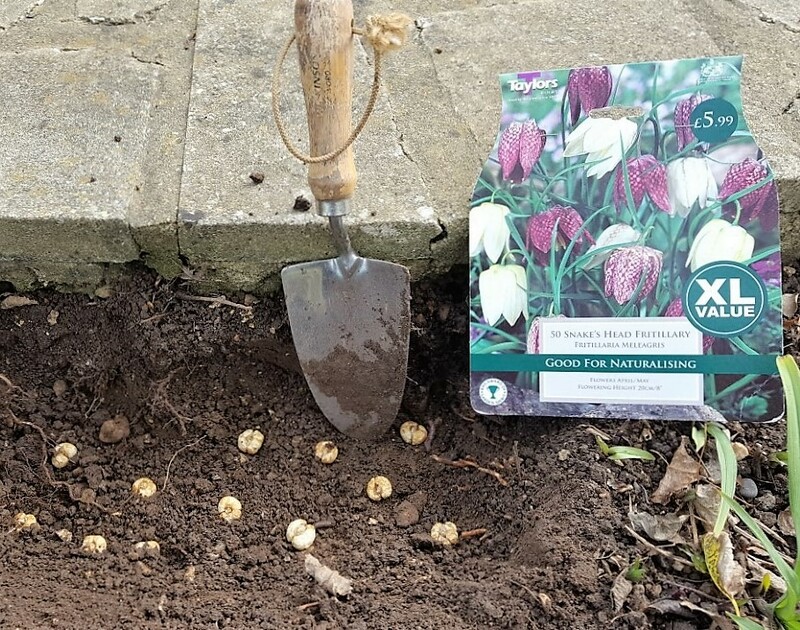 Fritillary bulbs can be prone to rotting in areas which experience cold, wet winters. In this instance either plant the bulbs on their sides or within a pocket of horticultural grit sand. This will help to avoid water collecting in their hollow crowns and to prevent the bulbs from rotting. If you are looking to create a natural looking drift gently cast the bulbs across the planting area and plant them where they land. In the autumn it is essential to allow the foliage to die back naturally as this will provide energy for the bulb and improve flowering the following year.